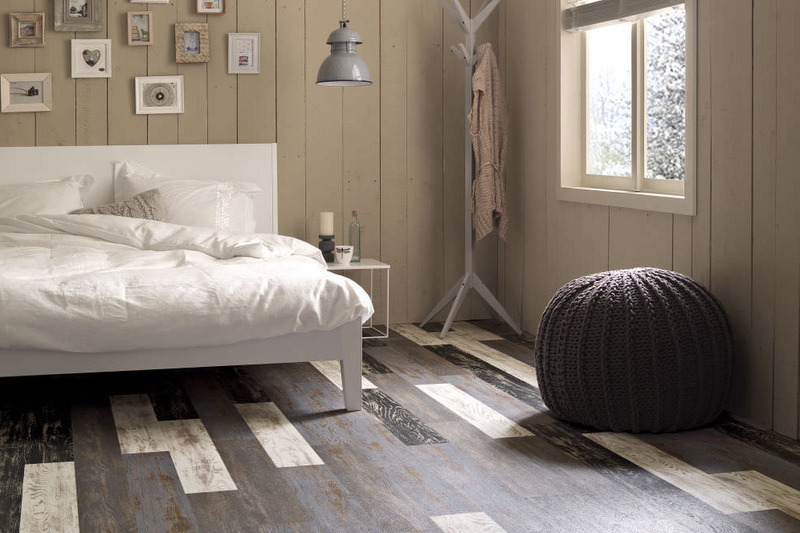 Over the last few years we have seen a growing interest from manufactures to take a fresh look at just what is flooring, and starting the design process from what can we create that is environmentally friendly to make and to live with. At Action Flooring we see an increase in clients also starting their decision process with show me what you have that is enviro friendly to make and healthy to live with. We believe in this approach and below is a list of some of these choices. Cork is relatively new to the flooring world. It is usually seen on walls or in your favorite bottle of wine, but it is great material for floors. Cork is harvested from the bark of the cork oak tree commonly found in the forests of the Mediterranean. The trees are not cut down to harvest the bark, which will grow back every three years, making it an ideal renewable source. It has anti-microbial properties that reduce allergens in the home, is fire retardant, easy to maintain and acts as a natural insect repellent too. Cork, like wood can be finished in a variety of paints and stains to suit any color scheme or design style. Its durability allows for uses in any part of the house. Cork floors, depending on the quality, can last between 10-30 years. When one thinks of linoleum flooring, vinyl tends to come to mind and yet the two are nowhere close to each other. Vinyl is a synthetic made of chlorinated petrochemicals that are harmful. Linoleum is created from a concoction of linseed oil, cork dust, tree resins, wood flour, pigments and ground limestone. Like cork, it is fire retardant and water resistant. Linoleum is not new to the market; it fell out of favor with the introduction of vinyl in the 1940’s. As architects and designers began asking for it again, it reemerged with a vast array of bright vibrant colors and a new sealer to protect it from stains. It has a long shelf life and will hold up to a lot of wear and tear. Ever wonder what happens to the wine bottles and beer bottles that are shipped to the recycler? They are converted into beautiful glass tiles. This renewable source is fast becoming a wonderful option for floors as well as bathroom and kitchen walls. Glass has similar benefits of other eco-friendly materials. It is non-absorptive and won’t mildew or mold in damp environments. It is easy to maintain and won’t stain. Glass comes in a limitless array of colors, patterns and finishes suitable for most design schemes. Unlike ceramic tiles, glass will reflect light rather than absorb it, adding that additional layer of light some rooms need. 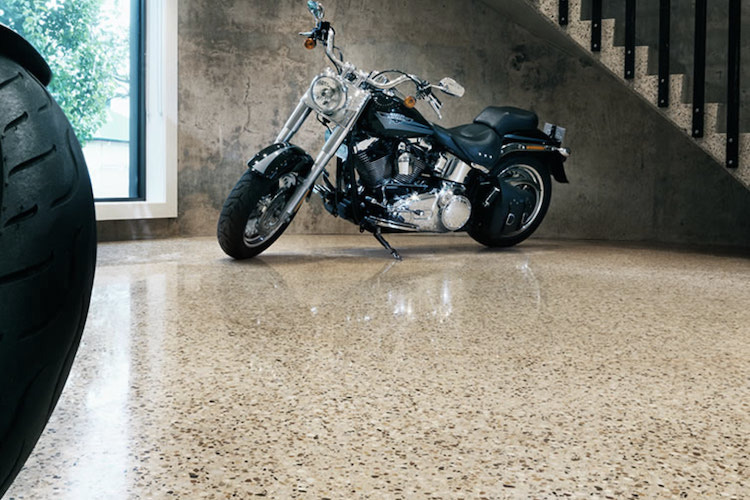 Polished concrete is an unlikely sustainable material that is gaining in popularity. Concrete is typically slab on grade and used as a sub flooring in some residential settings. If it is polished and tinted to the homeowners taste and style there is no need for traditional flooring to be put over it. From creating a tiled effect with different colors to inlaying other materials such as glass the design possibilities are endless. Concrete is extremely durable, easy to clean and never needs to be replaced. We provide this in house. 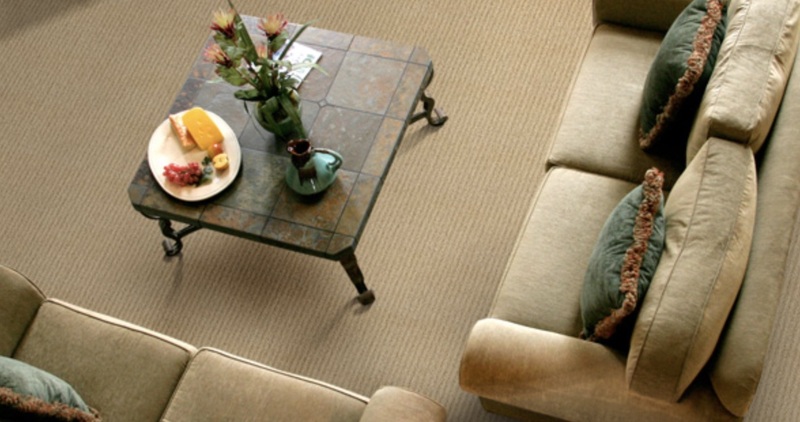 Carpet has long been a favorite go-to material for most homes. 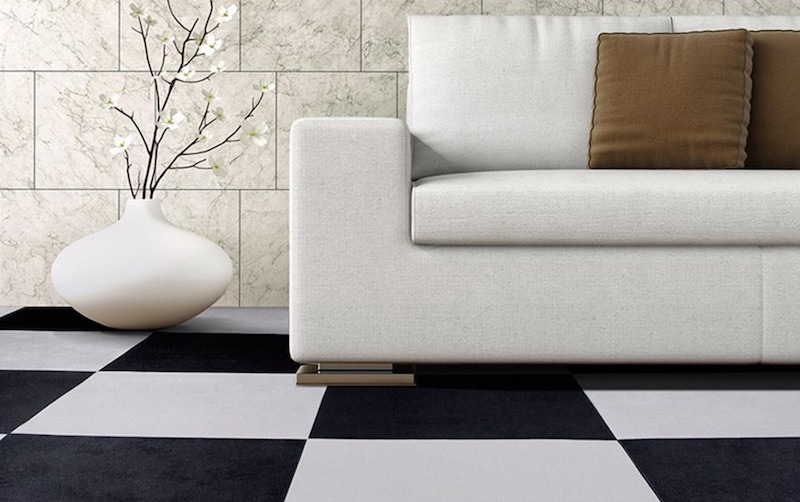 It is soft to walk on, comfortable to sit on and comes in a range of colors and patterns. Unfortunately, carpet has typically been made using volatile organic compounds or toxins that are harmful to the environment and to our health. There are eco-friendly options though. Consider carpets made of wool. Wool is a natural resource spun into a thread that can be dyed any color imaginable, and then be woven to create a carpet. It is one of the first materials to be used as a floor covering, is very durable and can last centuries. In some families wool rugs have been passed down from generation to generation making them family heirlooms. Other natural materials used to make carpets or rugs are sisal, jute and cotton. Air.o was designed with people who have a respiratory condition and who want carpet instead hard flooring like wood or title. A misperception is that people with asthma and allergies should avoid carpet in the home. Actually, the opposite is true. Studies prove that properly cleaned carpet can help reduce symptoms and is the best flooring choice for those dealing with asthma and allergies. Carpet acts as a passive air filter, trapping dust, pollen and other particles and removing them from the breathing zone. Studies show that people with asthma and allergies have seen symptoms improve with carpet. Air.o is the next generation of soft flooring. It’s unlike anything you’ve ever seen. 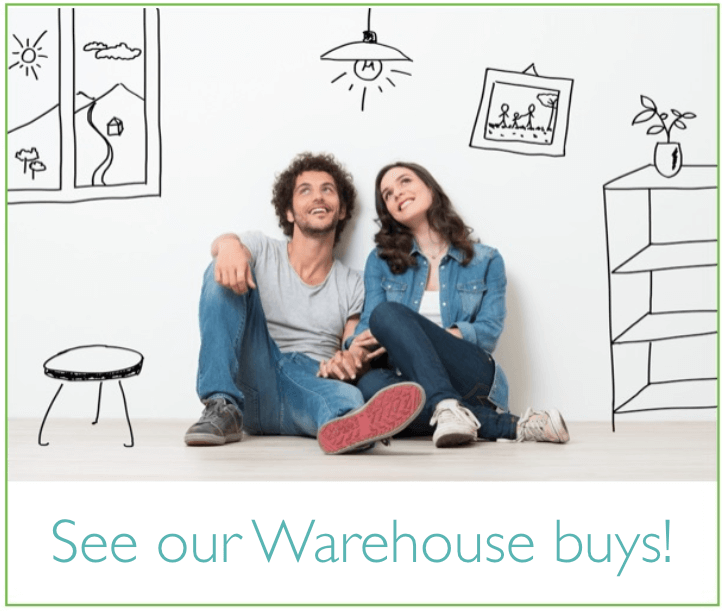 That’s because Mohawk has re-engineered the traditional carpet construction and created a completely new type of flooring – unified soft flooring or USF. Traditional carpet requires a separate cushion, in contrast, Air.o has an integrated premium felt pad that protects subfloors and softens each step. Rubber flooring made from recycled tires is usually found at the local gym or on the neighborhood playground. It is slowly finding its way into our kitchens, sunrooms and bathrooms as a versatile, beautiful and lasting option. It is great to walk on and water resistant. It also comes in many color and pattern options. Leather is a surprising material that can be used as flooring. It is derived from the center-most part of the cowhide and is thicker than the leather pieces used for such things as belts, wallets and handbags. The soft warm feel under foot makes it perfect for bedrooms, closets and small areas with little foot traffic. It is not a great material for bathrooms, kitchens or other moist areas of a home. It is very durable and will wear well over time. Worn, scratched and aged leather develops a personality of its own and can be beautiful to look at for years to come.